May 25, 2018 Ohoty 368 Views 0 Comments former member of the US President’s Executive Office, including Witswatersrand, Mr Godfrey Harris, Mr. Harris recently delivered a lecture on the Politics of African Wildlife at universities, Nelson Mandela and Tshwane University of Technology. American public policy specialist and former member of the US President’s Executive Office, Mr. Godfrey Harris, believes that it is time for African governments to dispense with their polite ways and diplomatic language to tell animal rights groups to stop interfering with the management and trade of such African wildlife products as ivory and rhino horn. “Ivory and rhino horn play an important role in the economies of African countries. It is important that these countries make their own decisions on what they want to do with their wildlife products. They should not have to wait for the UN Convention on International Trade in Endangered Species of Fauna and Flora (CITES) to tell them what to do,” said Mr. Harris, now Managing Director of the US-based Ivory Education Institute. “The CITES Secretariat follows the dictates of the animal rights groups who control CITES through the money they give and orchestrate to pay its personnel and sustain its programs.” Africa’s long fight to end external interference in the management and use of its wildlife products dates back 43 years ago when the CITES was established. Its intention was to regulate trade in species so that they would not become extinct. Sadly, CITES’ good intentions have never benefitted wildlife conservation and economic development in Africa. To maintain the senseless ban on ivory tusks and rhino horn, animal rights groups scandalously and corruptly buy the votes of small member countries without any intervention from the CITES Secretariat. Mr. Harris noted with sadness that Africans have diplomatically tried to take the nice approach, asking CITES to investigate and ban the buying of anti-trade votes without success. Now, he has embarked on a new and disruptive discourse to call anybody who supports the unjustified bans on ivory and rhino horn trade racists and no different from the oppressive colonialists of the past. Mr. Harris, through the Los Angeles-based Ivory Education Institute and in partnership with the Sustainable Use Coalition, has taken the lead in helping the African people regain full control of their wildlife resources. To build momentum towards achieving this goal, Mr. Harris recently delivered a lecture on the Politics of African Wildlife at universities, including Witswatersrand, Nelson Mandela and Tshwane University of Technology. The lecture focused on how supporters of American animal rights groups are perpetuating colonial policies. “They are as racist as any of the colonialists of the 19th century,” said Mr. Harris. With that revelation of the little-known and sad truth on how animal rights groups have captured the CITES Secretariat and in turn compromised African control of its wildlife, Mr. Harris ignited explosive and emotional reactions from the students, professors, and journalists attending his lecture. Most of them called for the need to immediately end the corrupt vote buying and even funding of CITES by animal rights people. They noted that CITES can no longer investigate and punish animal rights groups because it would be biting the hand that feeds it. Mr. Harris expressed hope that the next CITES meeting in Sri Lanka in May 2019 would discuss the issue of vote-buying with the view to ending it. The Head of the Department of Nature Conservation at the South Africa-based Tshwane University of Technology (TUT), Professor Brian Reilly, reacted dismissively to CITES’ conservation programmes. They have rendered the African elephant and rhino range states economically powerless to take control of their own wildlife, he said, suggesting that African states should cancel their membership in CITES. The general consensus among hundreds of the TUT students who packed the lecture hall was clear: CITES should leave African wildlife issues to Africans so that they can begin to benefit fully from their resources. Elsewhere, one of the observers who listened to Mr. Harris’ wildlife politics lecture at TUT dismissed CITES as a useless and embarrassingly corrupt UN agency. He said that ironically, it is working against the UN’s agenda of creating sustainable development in order to alleviate extreme poverty and hunger. “CITES is the black sheep of the UN family that now needs to be replaced with a more credible fauna and flora products international trade regulating agency,” said the journalist who spoke on condition of anonymity. He wondered whether the UN General Assembly was fully aware of the existence of such an out-of-line agency in the UN system. 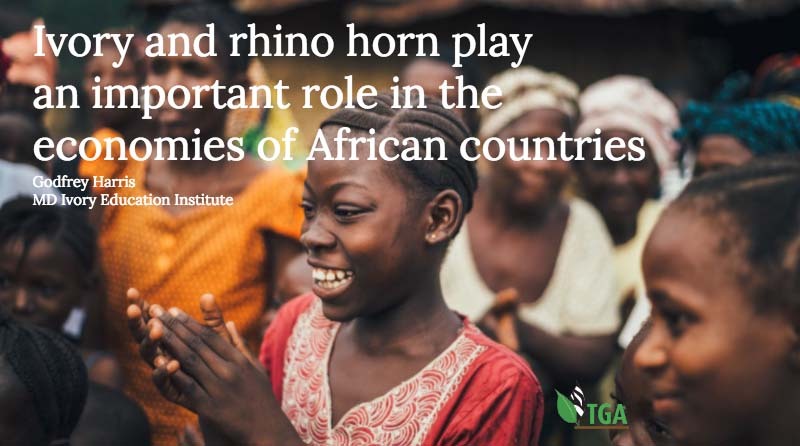 CITES’ counter sustainable development stance through bans on ivory tusk and rhino horn trade suggests that Africa may never succeed in its quest to alleviate poverty, extreme hunger, poor health, and unemployment. Rural communities situated next to wildlife sanctuaries see zero benefits to conserve wildlife. Instead, they assist poachers in exchange for small amounts of money that is being denied them through trade bans. Other participants said that the African media needs to begin reporting on African wildlife management approaches that promote African people’s interests instead of promoting and celebrating without question; the continued bans on trade in Africa’s natural resources. “Some African media organisations are promoting animal rights groups’ anti-sustainable use of African wildlife products at the expense of poor and voiceless communities. This is of great concern,” said Professor Tumai Murombo of the Wits University Nelson Mandela Law School. The impact of Mr. Harris’ lecture will continue to be felt through the emotional debates that have erupted following his powerful lecture. As the movement for Africans to take control of their wildlife resources continues to spread throughout the African elephant range states, Mr. Harris intends to continue delivering his lecture to ensure that young African graduates understand why they need to take full control of the wildlife in their own countries. The Chinese say a journey of a thousand miles begins with one step. Has Mr. Harris just taken the first but gigantic and inspirational step that leads African countries to a desired future where they will take full control of their wildlife with full, tangible and balance socio-economic and environmental benefits to African people? The fearless and tireless Mr. Harris might just have started his effort at the right time as the American Government recently established the International Wildlife Conservation Council. This new US Government advisory body was created to help rewrite the Federal Government’s rules for importing heads and hides of African elephants, lions, and rhinos. This organisation will also help the US Government find out the wildlife management and conservation needs of African people. It has started this consultative process by inviting such notable African conservationists as the chairman of South Africa’s Private Rhino Owners, Mr. Pelham Jones, and the Chief Executive Officer of the True Green Alliance, Mr. Ron Thomson. 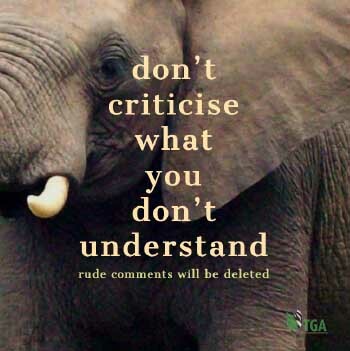 Written by Emmanuel Koro, first appeared in the Zimbabwe Chronicle and the Save the Elephants newsletter in May 2018.